When customizing fields within Operate, there are several types of fields available to choose from. 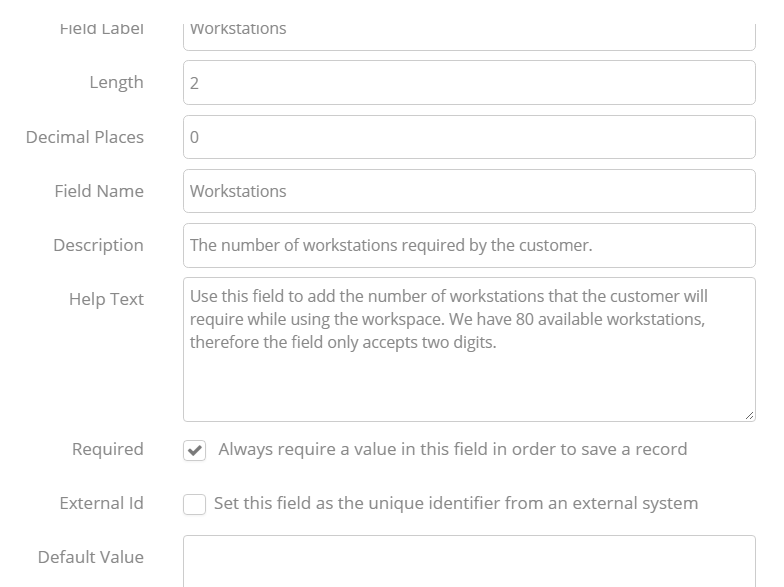 In this guide, we will look at how to set up each type of field. When you add a new custom field to a record you should always log in and log out again to ensure that the change is reflected in any templates. 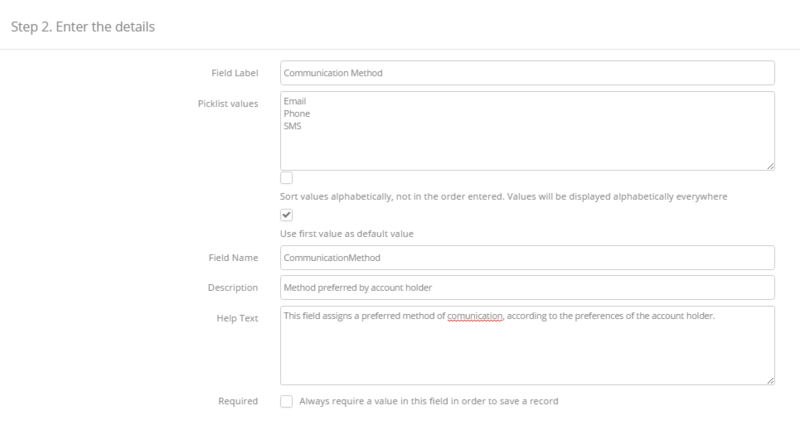 You will find all of these field type options under Settings > Customize; then by choosing the section for which you want to add a custom field and selecting Custom Fields. Each type of field provides its own options; though the same options may be used for several types of field. These specific field options are part of Step 2 of the custom field setup. - Allows users to select a True (checked) or False (unchecked) value. Enter a label that will be displayed within the field. 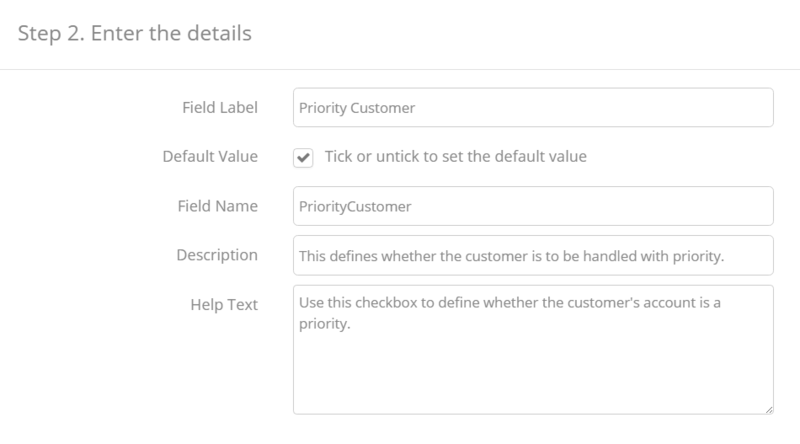 Tick or untick the checkbox to set the default value - This means that the checkbox will be ticked or unticked by default when being displayed to a user. Enter a Field Name - This will be used internally,for example when using Merge Fields. Add a Description that will be displayed within the system along with the checkbox. Add Help Text that will be displayed within the system as a hint on how to use the field. 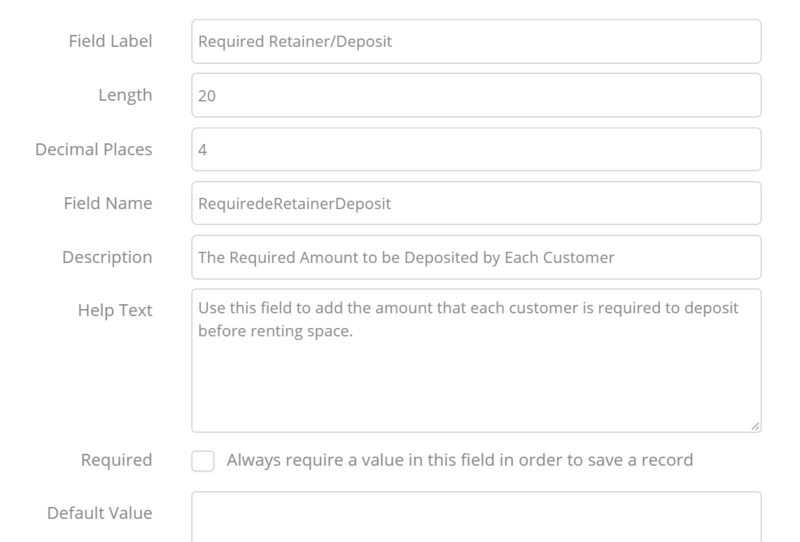 This field type allows users to enter a currency amount and automatically formats the field as a currency amount. This can be useful if you export data to Excel or another spreadsheet. Add the character Length to which you want to restrict the field - The value should be between 1 and 20. Add the number of Decimal Places that you want to allow. Add a Description that will be displayed within the system along with the field. Check the checkbox if you would like to make the field Required. Set this field as the unique identifier from an external system, if it is the case. Enter a Default Value for the field - this will be displayed to the user. Text Area (Long) - Allows users to enter up to 4,000 characters on separate lines. This field cannot be made a required field. 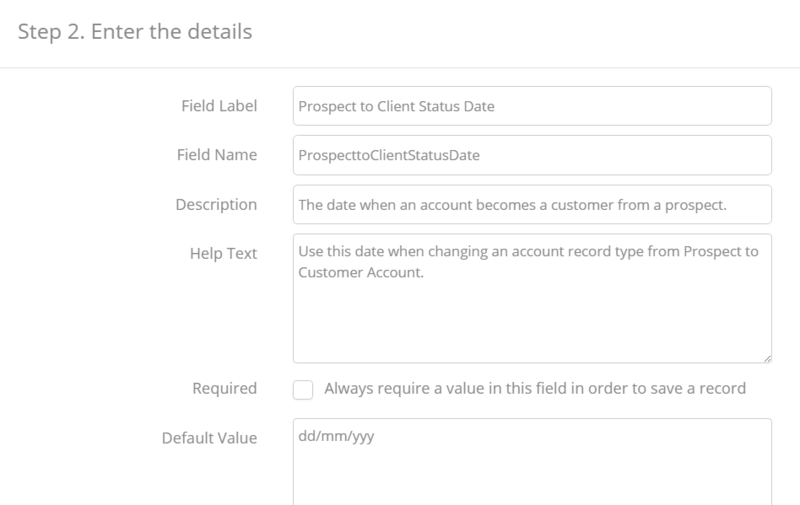 Enter a Default Value for the field - this will be displayed to the user. Here is a good place where you can add the date format you require (e.g. : dd/mm/yyyy). Set this field as the unique identifier from an external system if it is the case. 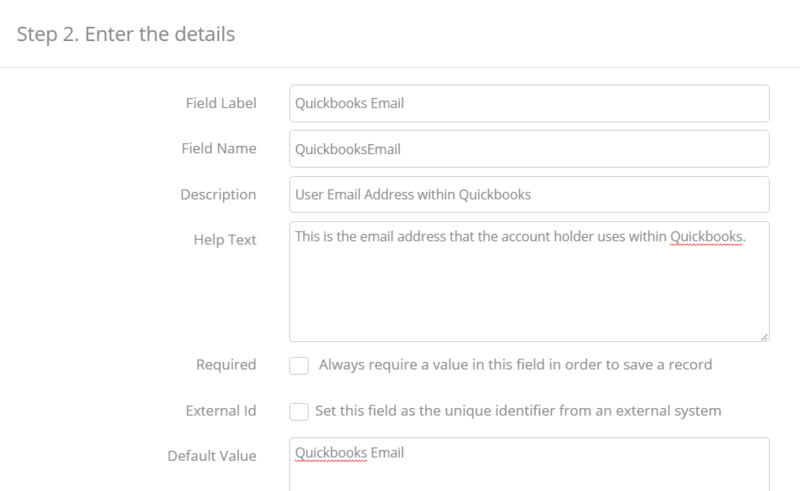 Enter a Default Value for the field - this will be displayed to the user. Here is a good place where you can add the date format you require.